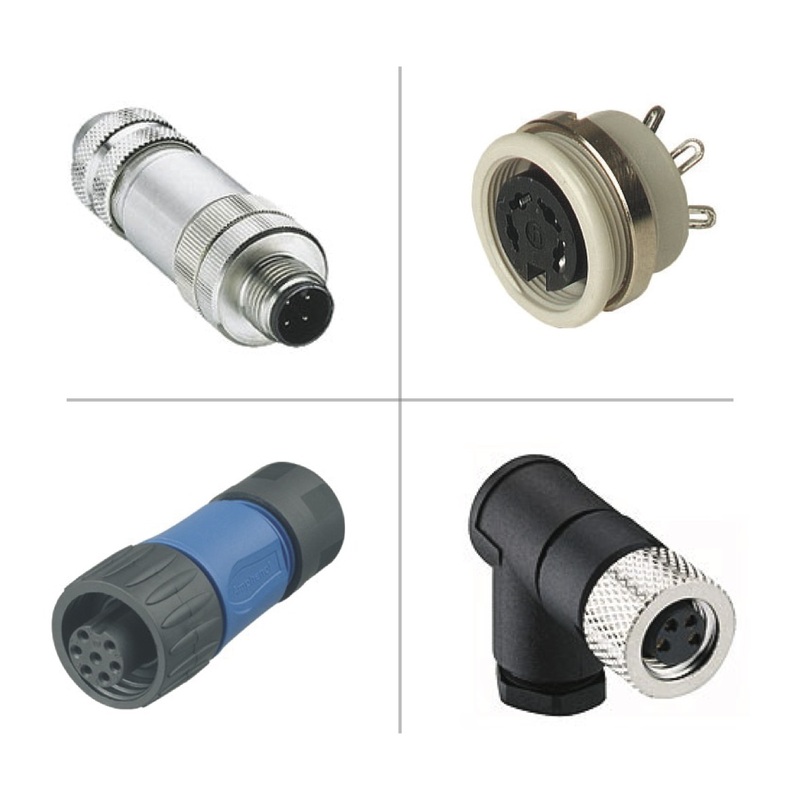 Industrial Connectors from the Complete Electronics Ltd product portfolio are available for a broad spectrum of markets and applications. 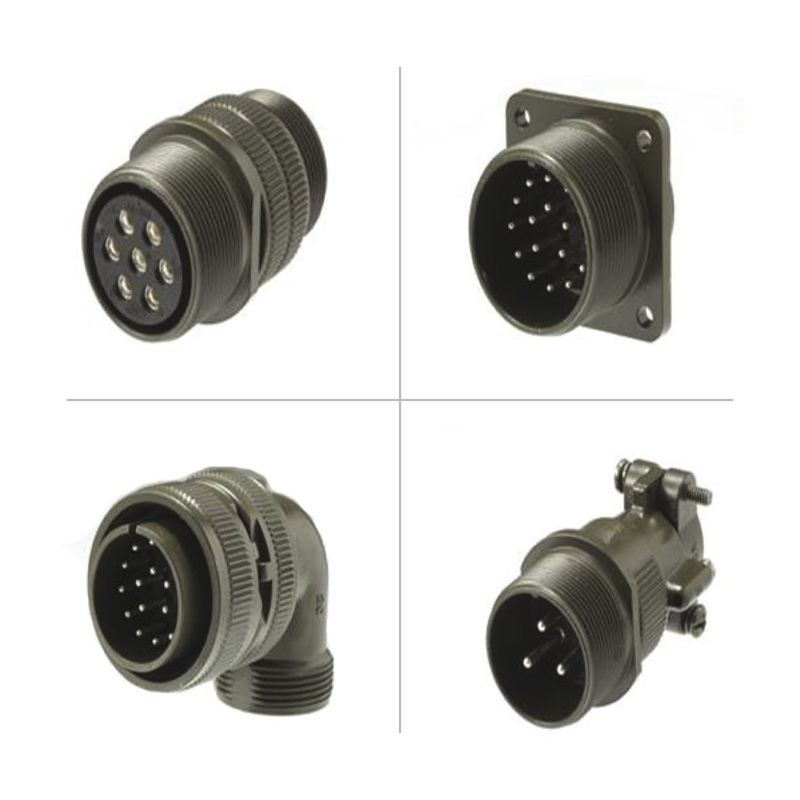 Our varied connector portfolio includes field attachable connectors, receptacle connectors, rear mount and front mount connectors in addition to leaded connector cordsets, both double and single ended. 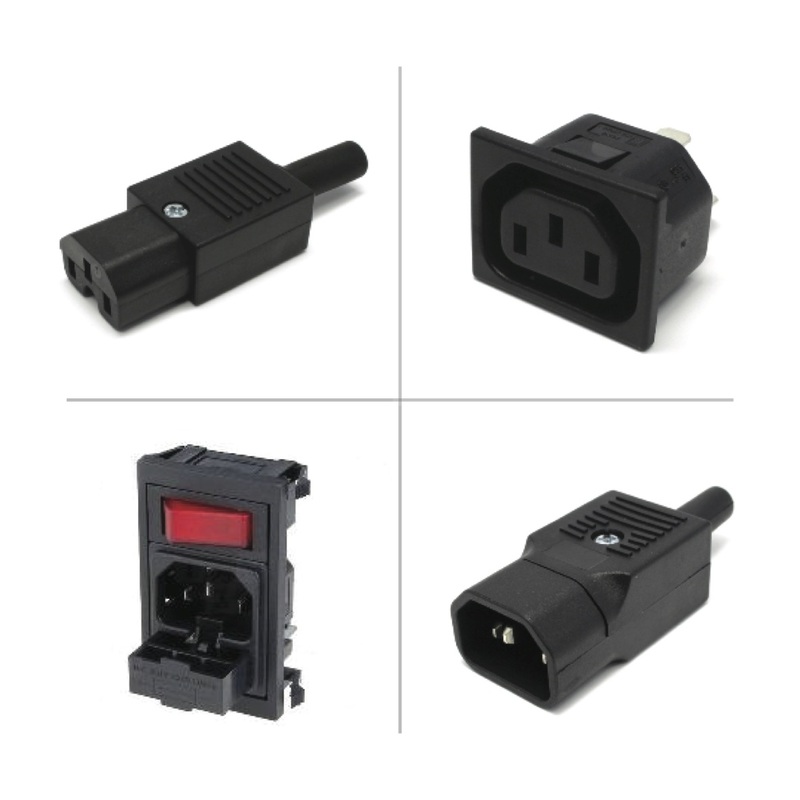 Our industrial connectors fall into the following categories; Rectangular, Circular, Waterproof, Entertainment, MIL Spec, Data, IEC connectors and Hazardous Area Zones. 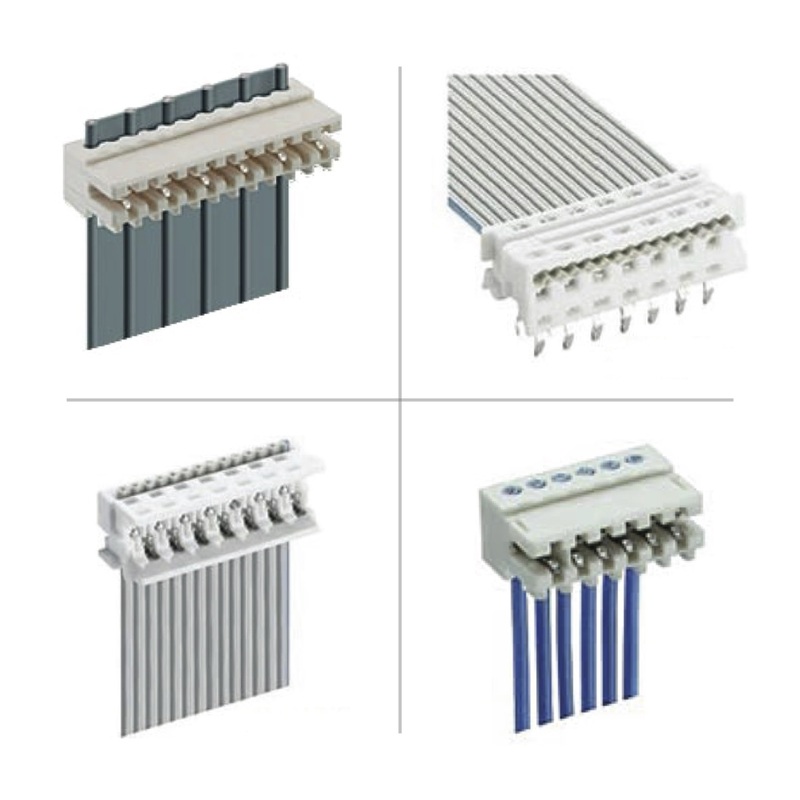 Within each of these categories you will find connectors and moulded leads from our top brand manufacturers which include but are not limited to Bulgin, Hirschmann, Phoenix Contact, Scame, Yamaichi and Lumberg Automation. 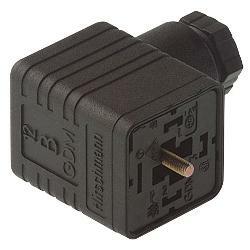 Typically you will find the Hirschmann connectors within the rectangular, circular, entertainment, data and waterproof connectors categories. 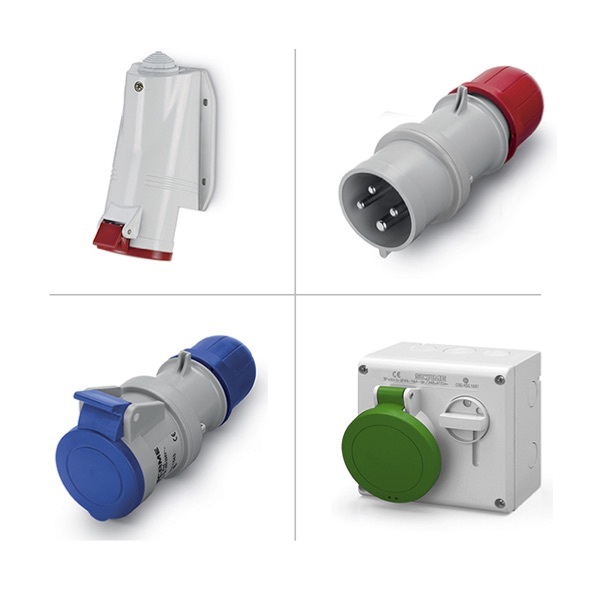 The Lumberg Automation connectors are found in circular, waterproof and data. 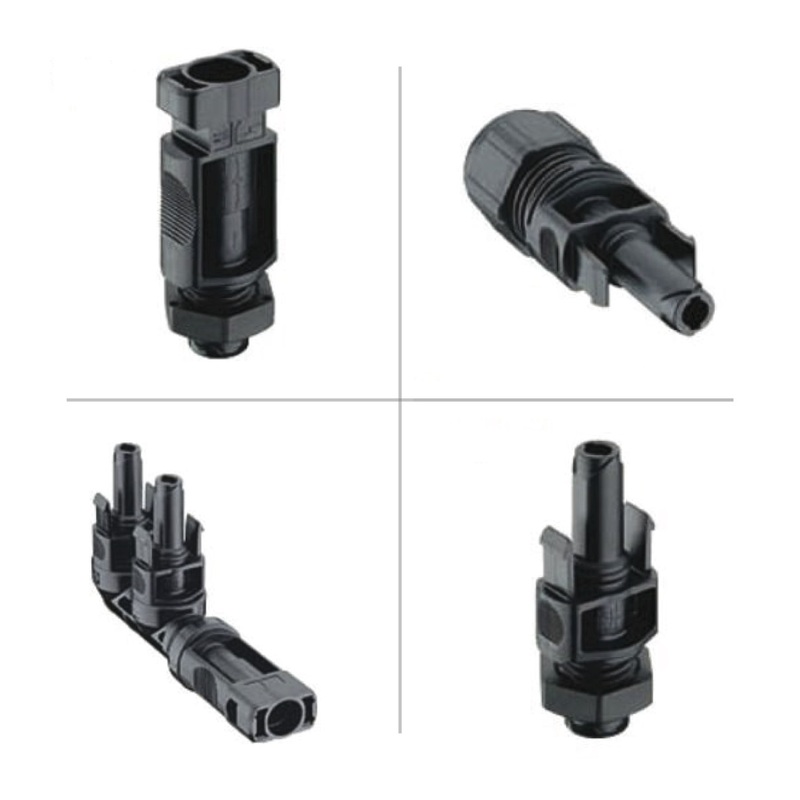 Bulgin connectors are found in circular, waterproof, entertainment, data, IEC and hazardous areas. 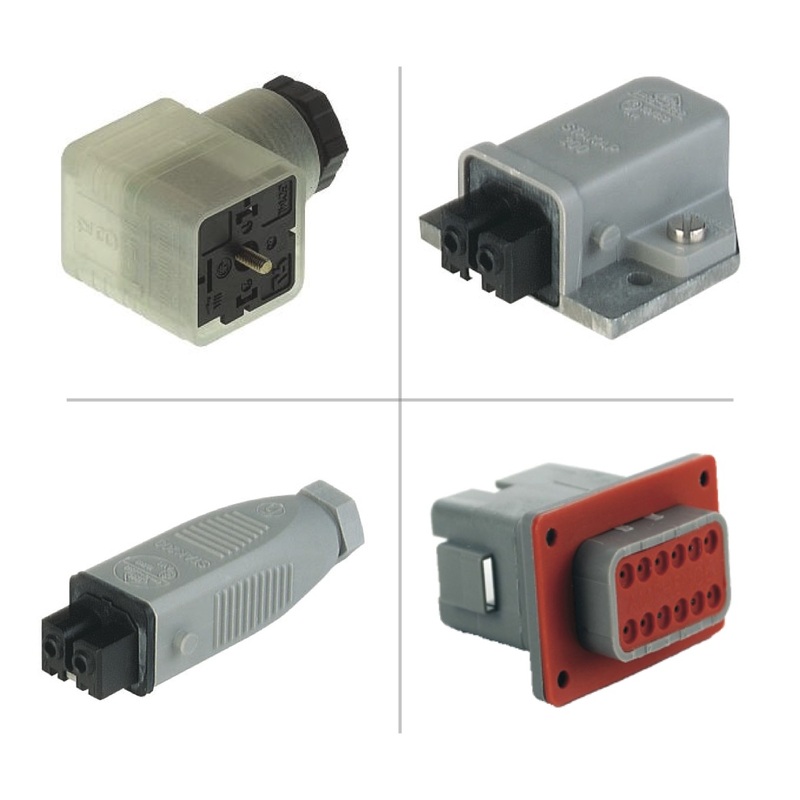 Phoenix Contact connectors have a vast offering and can be found in each of our connectors and leads categories. 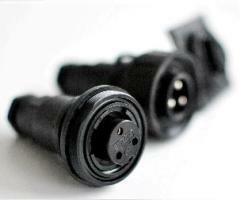 INC Connectors are found in Circular and Waterproof connectors. Rectangular connectors include valve connectors which are commonly known as DIN 43650 or valve caps, These connectors are widely used in pneumatics and hydraulics. 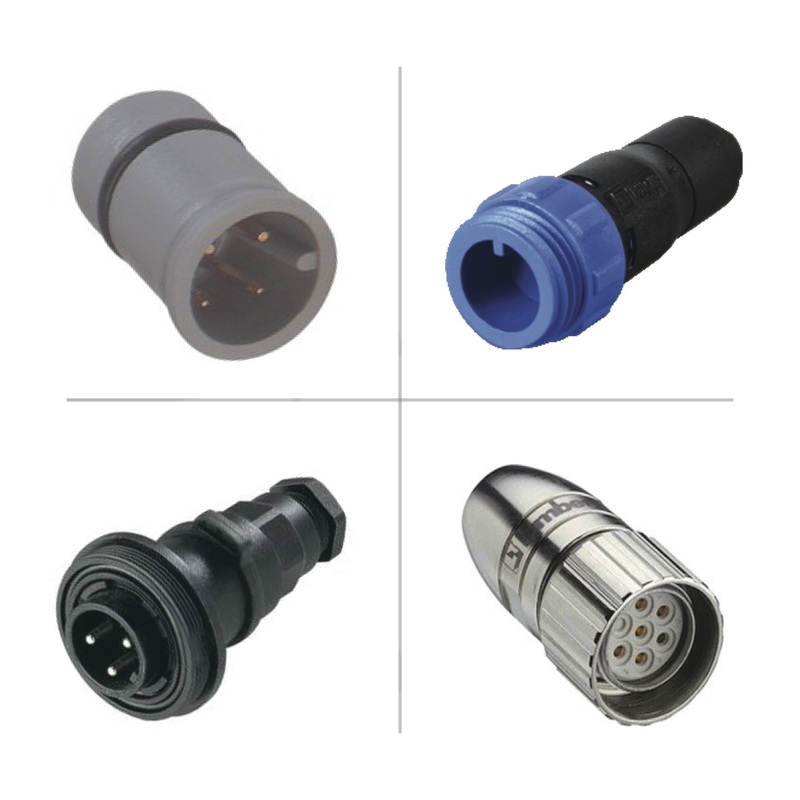 The category for circular connectors is potentially endless and includes M8 and M12 connectors typically used in machine building and factory automation along with M23, 7/8, multi-pole Bus and Ethernet connectors. 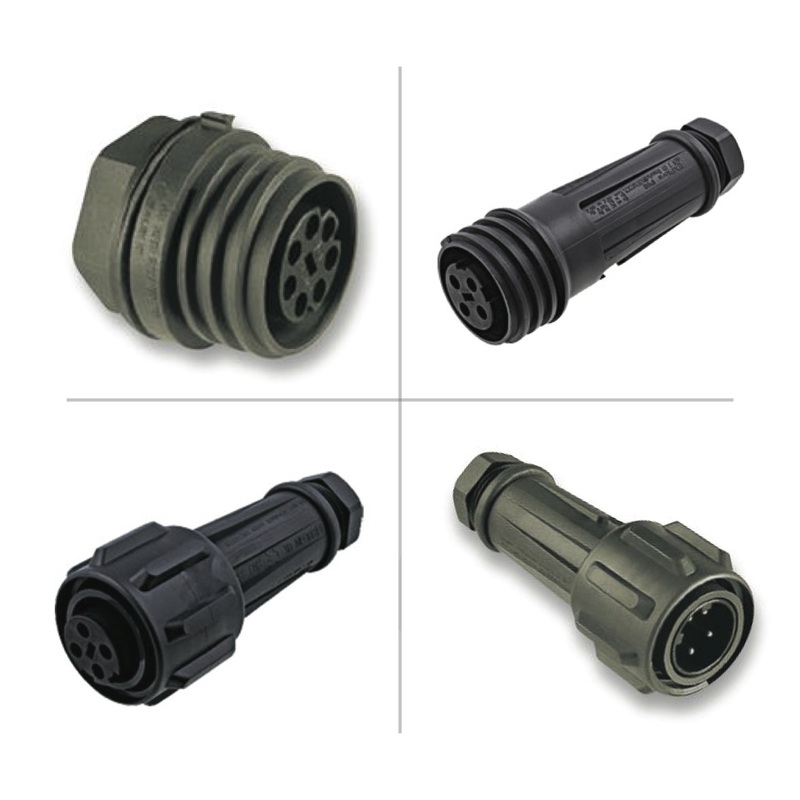 Waterproof connectors include connectors with an IP (Ingress Protection) rating of IP67, IP68 and IP69k, all of which offer varying levels of resistance to water, dust and chemicals. IP69k is the highest rating and can withstand high pressure water jets and steam cleaning and is suitable for use in the food and beverage industry. The entertainment category is primarily for connectors commonly used in professional audio and video applications such as XLR connectors. 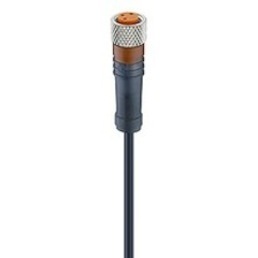 Although the xlr is associated to use in the audio/visual sector, it is now frequently being used as a power connector within the industrial sector. 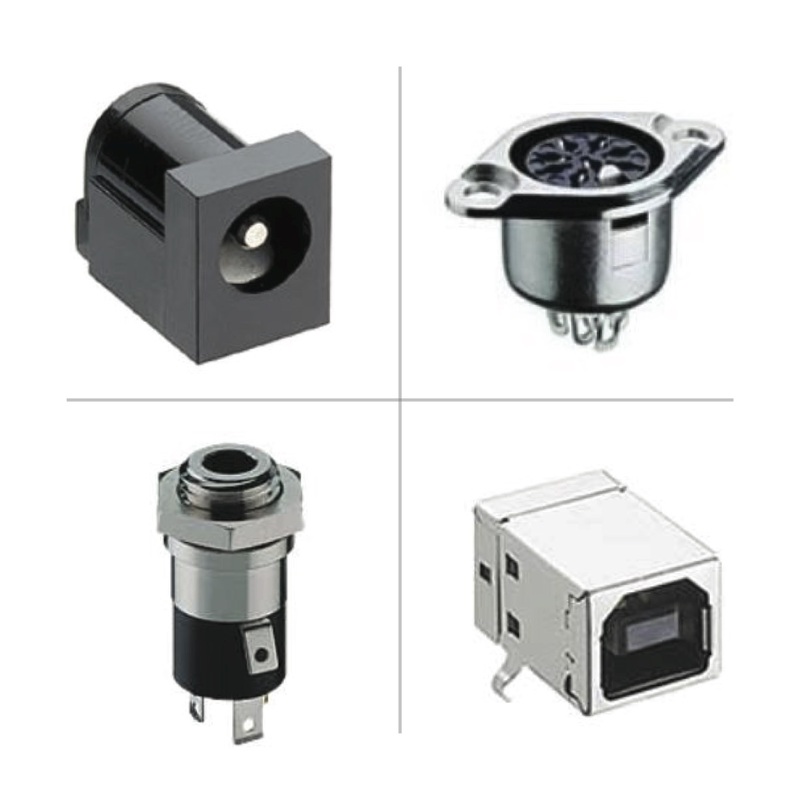 Industrial connectors encompass a huge range of products from rectangular DIN connectors to circular M8 connectors to field attachable multipole connectors and all the way up to high-power transmission connectors. Complete Electronics Ltd supply industrial connectors from the following quality manufacturers; Hirschmann, Lumberg Automation, Bulgin, Lumberg Connect, INC, Scame, Sunny Young and Yamaichi in addition to our own brand of specially sourced connectors ETM. Our connector ranges can be used in all sorts of applications from small power controls to Gigabit data transmission and in all environments from the factory floor to wind turbines, from the desert to the depths of the ocean. 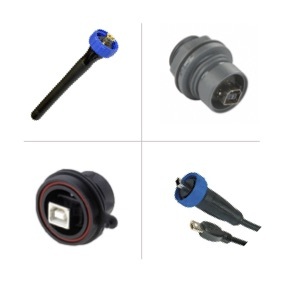 Our encompassing portfolio of connectors and leads enables Complete Electronics Ltd to offer all types of connectivity solutions within a wide price range. So regardless of your technical specification, brand or budget we are sure to offer you the right connector to complete your projects on time and on budget.